Coffee unifies various characteristics that make it a crop with an enormous social and economical significance. On one side, this product was for many years the second most traded commodity in international commerce, after petroleum, making it one of the principal sources of income for nearly 50 countries. The main exporters of the commodity still are in Africa, Asia, as well as in the developing and less developed countries of the American continent. The income generated by this product has traditionally been considered as a source of social and economical stability for more than 25 million farming families in tropical and subtropical regions around the world. Additionally, and given that a good portion of those coffee producers are owners of farms with limited dimensions, the export of coffee is an important source of income distribution. In fact, in the absence of market distortions the income from coffee operations is circulated amongst a broad population base, in contrast with other products such as petroleum, whose income produces profits mostly for the governments and companies in charge of its exploration, refinement and distribution. The small coffee producers usually confront buyers that have greater liquidity and capacity to purchase, if not more information regarding the development of the current international prices of the product. Unfortunately producers frequently do not receive a transparent price that would avoid local merchants, exporters and processors to generate greater margins at the expense of producers. Diverse NGOs, multilateral banks, and organizations for international cooperation have searched for ways to create new models of commerce that guarantee minimum prices or transparent prices for many small coffee producers. On their part different coffee producing countries have attempted to develop institutional models for coffee that would correct these inequities. 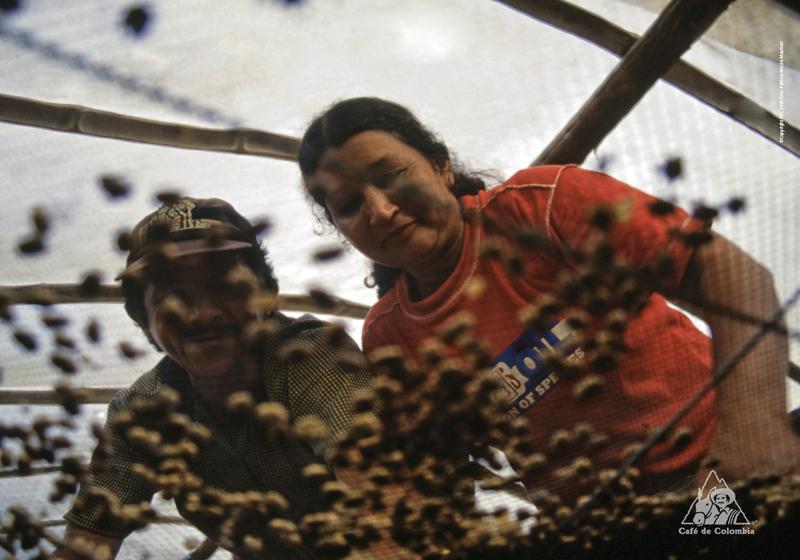 In the case of Colombia, there are over 563,000 coffee producing families. Behind Colombian Coffee an institutional model has been created around the Colombian Coffee Growers Federation(FNC) that has succeeded in correcting a good part of the distortions that are generated in a market composed of large buyers and small sellers. At the same time the organization has been able to leverage significant resources of social and environmental investment behind its Sustainability That Matters programs. From the point of view of its consumption, coffee is amongst the products most used on a daily basis around the world. In the main markets, such as the United States, nearly half of the adult population drinks coffee on a daily basis. In other markets, such as China, Japan or even Great Britain, which are characterized by the high consumption of other hot beverages, such as tea, the consumption of coffee has shown signs of steady growth. As coffee is a beverage whose consumption is associated with social interaction, such as reunions with family and friends, it has penetrated various cultures and has become,, as time goes by,an instrument to build relationships in diverse societies around the world. The history of coffee demonstrates that the social influence of the beverage has had an effect in even the most diverse environments. Accordingly there are many conversations that can revolve around the rites and customs associated with coffee, the politics of coffee and even coffee and the environment. The topics that can be discussed around a cup of coffee are countless.